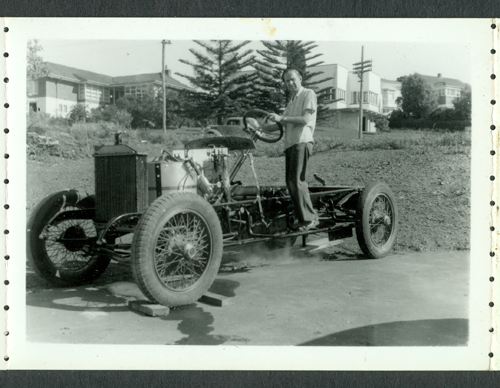 I was brought up on a very rich diet of Steam cars. 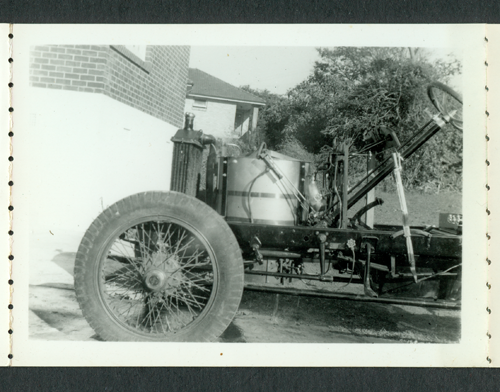 Two [Steam Vehicle Corporation of America] SV 252s arrived at the dealership in Hamilton 80 miles south of Auckland very close to the day of my birth on Dec 6 1925. 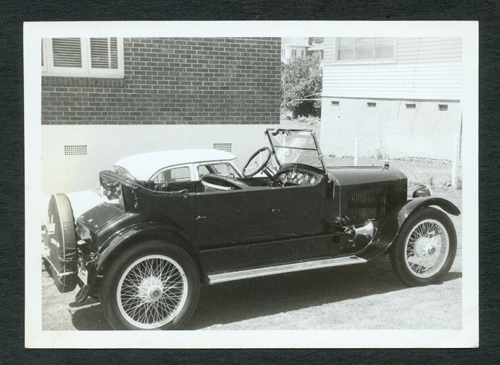 When I was about 5 or 6 months old a new 740 chassis which later became the Nielsen bodied roadster commissioned by Edwin Fernie, pulled up at the gate of our home in Te Aroha St Hamilton having been driven about 350 miles from Wellington with a very basic seat for the driver and no weather protection. 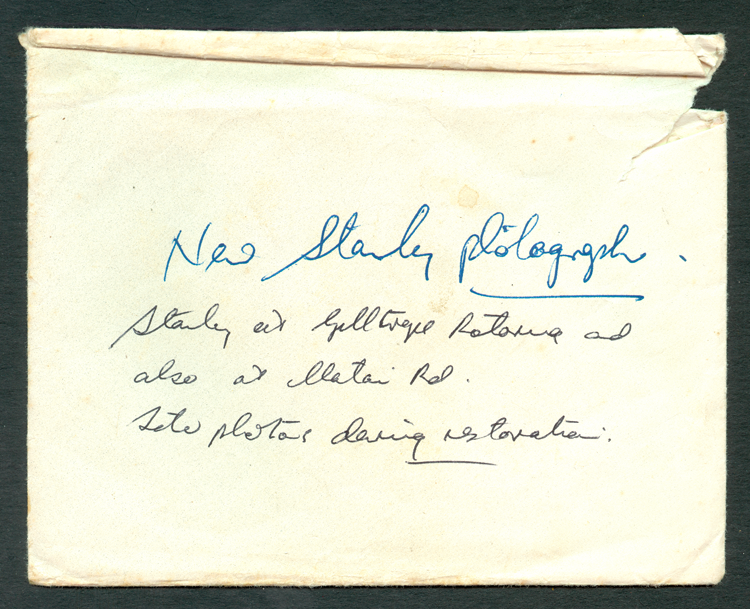 At this time my father HH Stewart, who was New Zealand agent for Stanley, was acting as advisor and Sales Consultant for Trealors Ltd. whom he had appointed as Northern North Island agents for Stanley. Strangely my parents managed to insert Stanley as my middle name on my arrival. 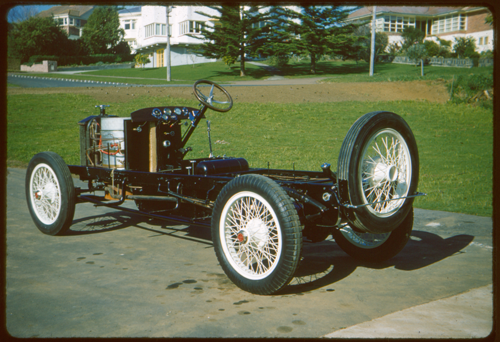 By the time I was 8 months old the Stanley company [The Steam Vehicle Corporation of America] had finally gone belly up which signaled the end of any agency arrangement HHS had, The family moved to Auckland and the next significant steam car involvement by HHS was to refresh his acquaintance with Abner Doble whom he had met during earlier visits to the Stanley operation in USA. The result of this relationship was that HHS negotiated an arrangement between Doble and A&G Price in Thames New Zealand to manufacture steam busses for the New Zealand market. A couple of my very earliest recollections as a child were traveling to Thames in a 740 Stanley and also in Doble E13. On one occasion in E13 Dad pointed to the speedometer which was showing a steady 82 MPH. 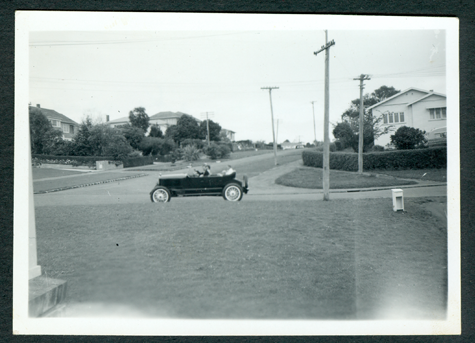 In the early 1930s I was often driven to school from our home in Matai Rd. in Doble E13. With this background I guess it is not surprising that as the years passed by I became very determined to some day own a Stanley. 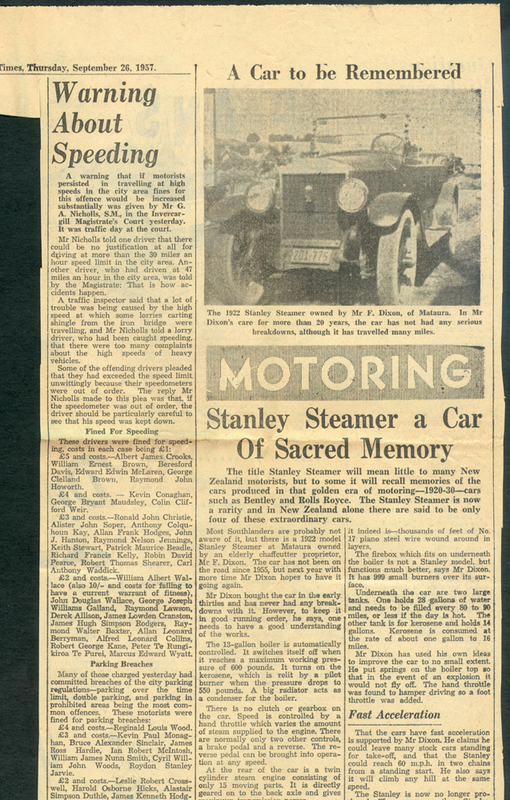 The first opportunity presented itself in about the 1945/6 period when Stanley 735A 20194 was offered for sale by George Giltrap of Rotorua for the sum of 45 pounds. I traveled to Rotorua (150 miles) on my Scott motorcycle and returned home full of enthusiasm for the purchase. 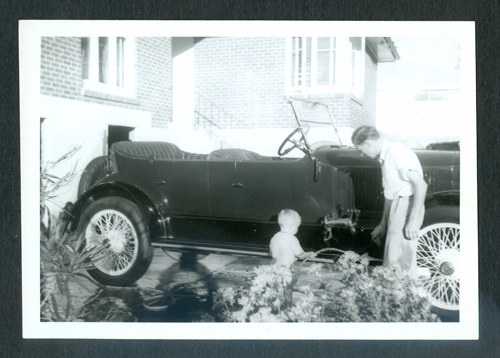 Unfortunately my eagerness was not shared by my father who raised all sorts of objections such as cost of Transport to Auckland and the fact that there were far more important things to do getting over the war. 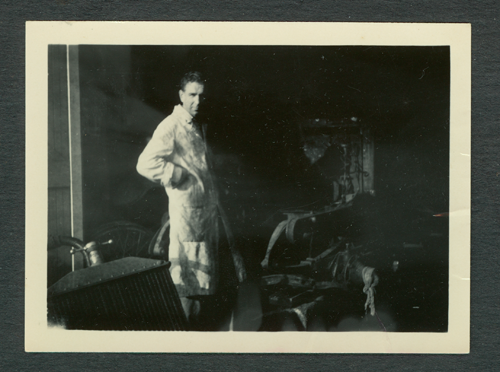 John Stewart describes these two photographs of Stanley no. 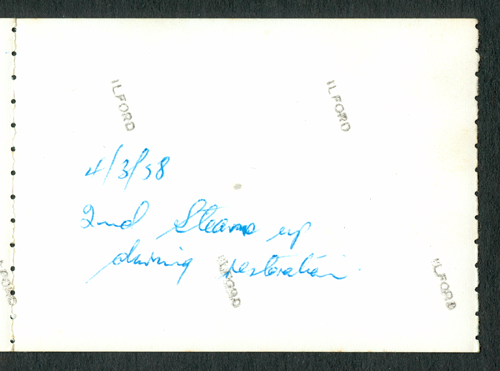 20194 as his "first sighting," on what he described as "a very frosty morning in an empty section on Old Taupo Road in Rotorua probably in 1945/1946. 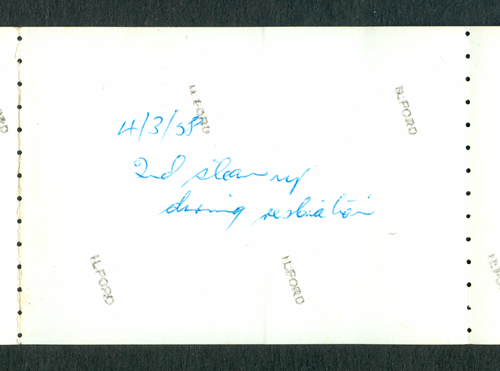 The negatives of these pictures have a strange salt and pepper speckling effect which was identified as being fall out from the Hiroshima bomb. 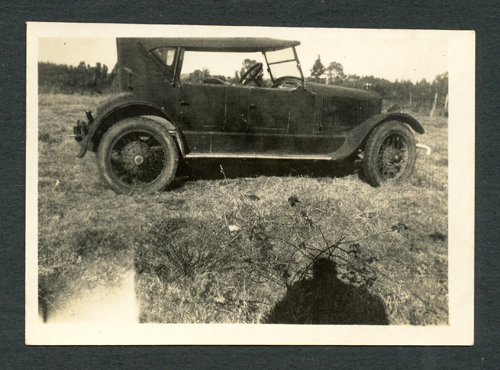 At this time the car was owned by George Giltrap of Rotorua and was for sale for 45 pounds. I was about 20 and very keen to buy. However HHS gave me no encouragement and in fact raised all sorts of objections such as costly transport to Auckland, lack of restoration facilities right at the end of the war and so on. 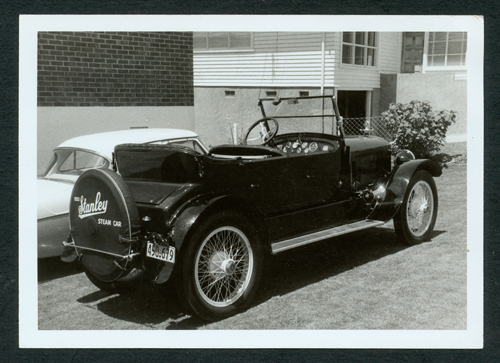 It was bought by Bill Lawson of Auckland a year or two later. Source: Stewart Archive. 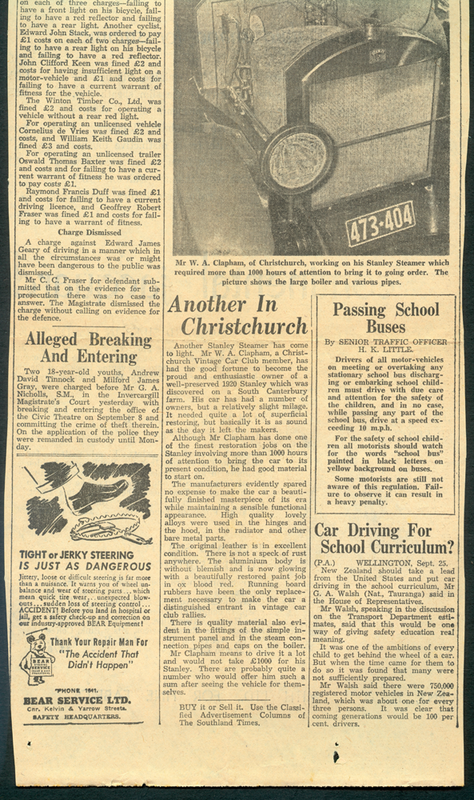 A year or two later Bill Lawson of Auckland bought the car and the history of his ownership is told elsewhere in this publication. Stanley 735A No. 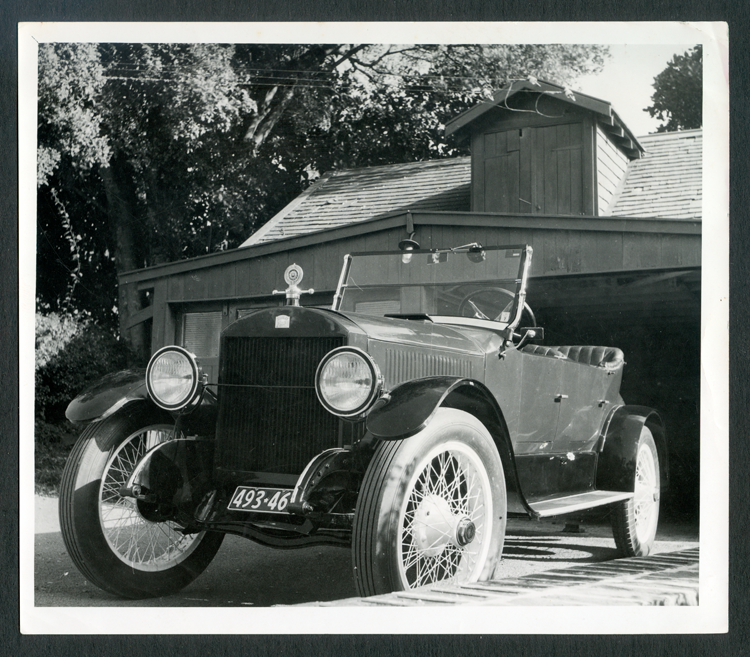 20194 was I believe the first car Dad sold on acquiring the agency in 1920. 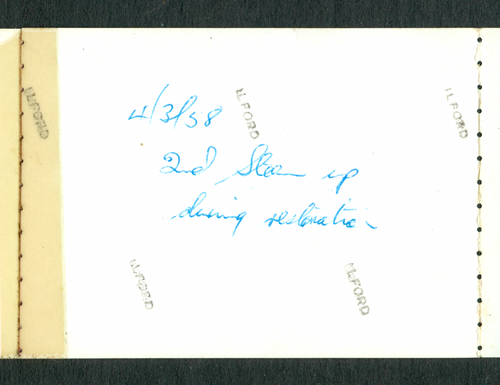 The buyer was William Barton of White Rock Station in the Wairarapa district north east of Wellington. I believe Will. 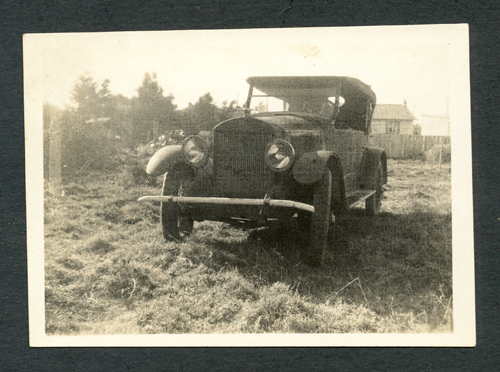 Barton was reasonably satisfied with the car but did have problems with the burner becoming swamped under conditions of the river crossings being in flood between his sheep station and town. Under these circumstances he would revert to using his V8 Cadillac. 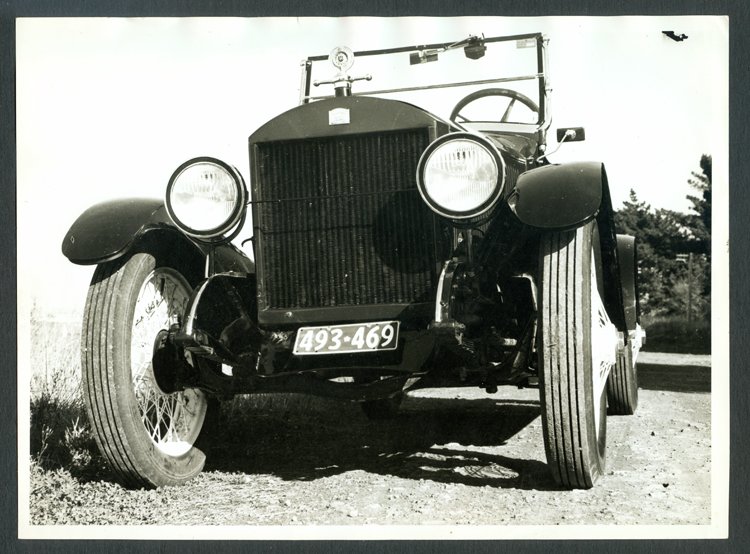 Barton's use of the car came to an abrupt end when his secretary, who was driving, put the car through the bridge railing over the Otaki stream and ended up upside down in the river. She suffered a broken wrist. Barton was unhurt. 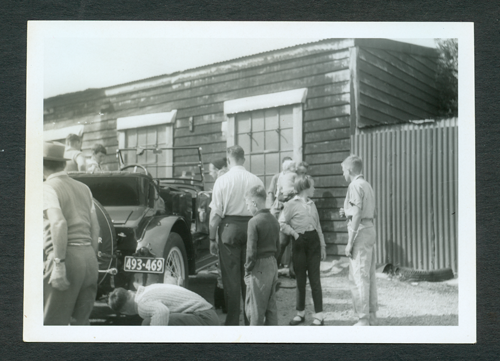 The car had right frontal damage and evidence of the repairs are still present today. 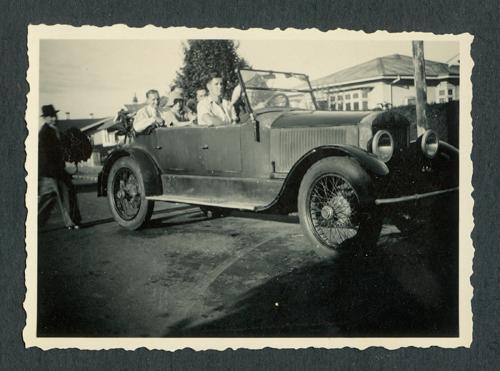 Unfortunately little factual information is known about the car from that time until the 1940's when it was known to be owned by a Mr. King of Kaiangaroa in the Rotorua area. 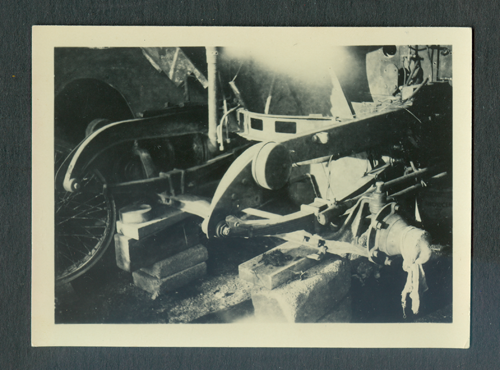 It is believed that during his ownership a locally made Bolsover express type boiler was installed. This was of fairly crude construction but it did keep the car on the road. 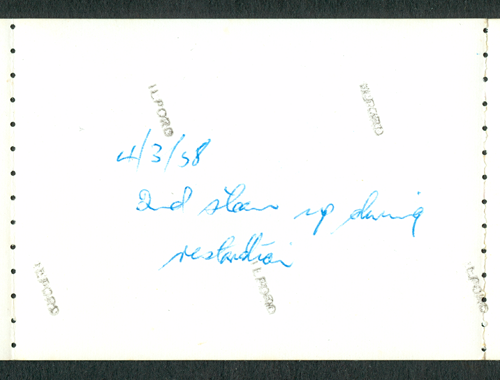 King ultimately sold the car to Giltrap and Giltrap to Lawson as noted elsewhere. I became owner of 20194 in the mid 1950s when Bill Lawson, who was sadly bedridden with an incurable brain tumor, realized that he had no further use for the car. The boiler and burner were out of the chassis and there was a fair degree of general deterioration due to poor storage conditions over a considerable period, As described elsewhere I commenced a complete body off restoration which took about 21/2 years. 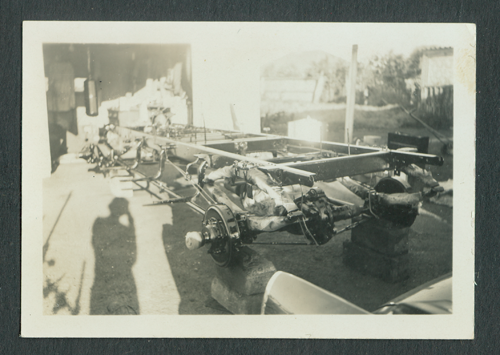 This is Stanley 20194 in Bill Lawson's Garage, about 1955.Source: Stewart Archive. John Stewart describes this image. "This is 20194 in our backyard at Matai Rd. 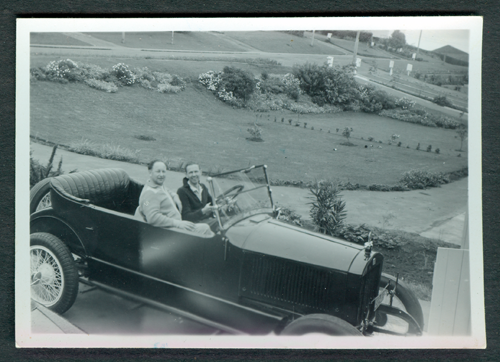 in Auckland circa 1950. with HHS at the throttle. 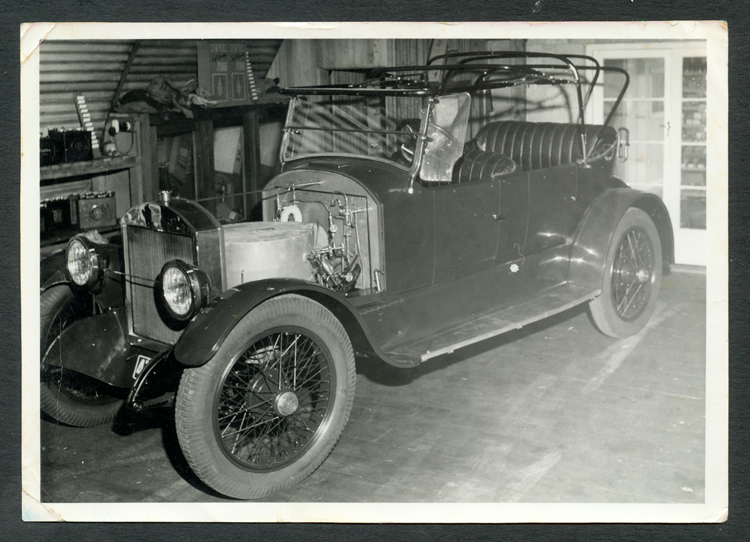 At this stage the car was owned by Bill Lawson who had spent several years trying to get it running half decently with very little success. Discouraged, he suggested I take it and have a play for two or three months hopefully with help from dad. (HHS) HHS quickly identified faults with the burner and piping layout , the water automatic and so on and within a short period had her motoring reasonably well. 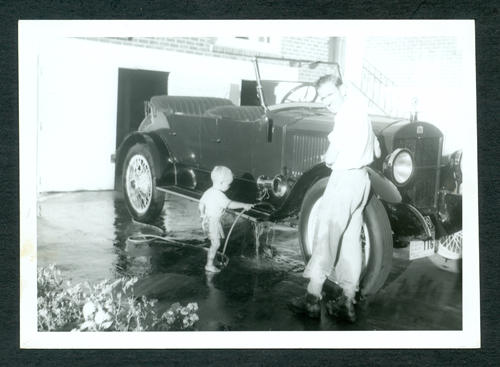 At this stage dad suggested we return the car to Bill because if we got it going too well he (Bill) would never sell it to me." Source: Stewart Archive. 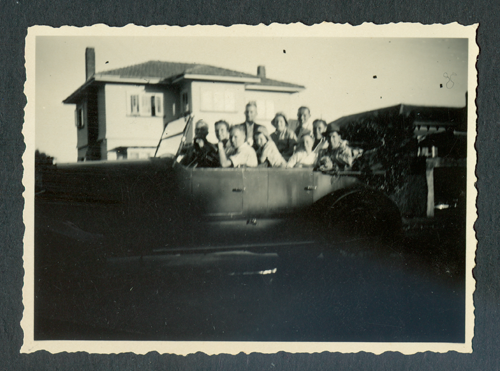 Neighbors riding in Stanley 20194 in the late 1940s when the car was on loan from Bill Lawson. 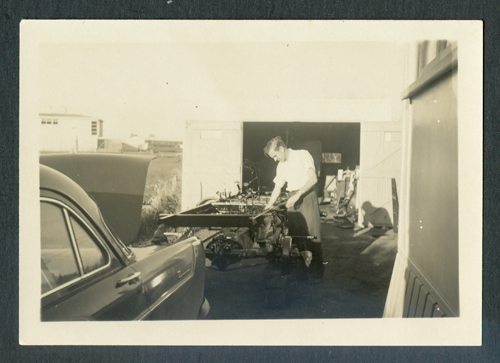 Dad had died in Feb. 1950 but I was able to recall a great deal of what he taught me about Stanley operation when we had the car on loan from Bill in about '48/49. These six photographs that follow document the disassembly of Stanley 20194. 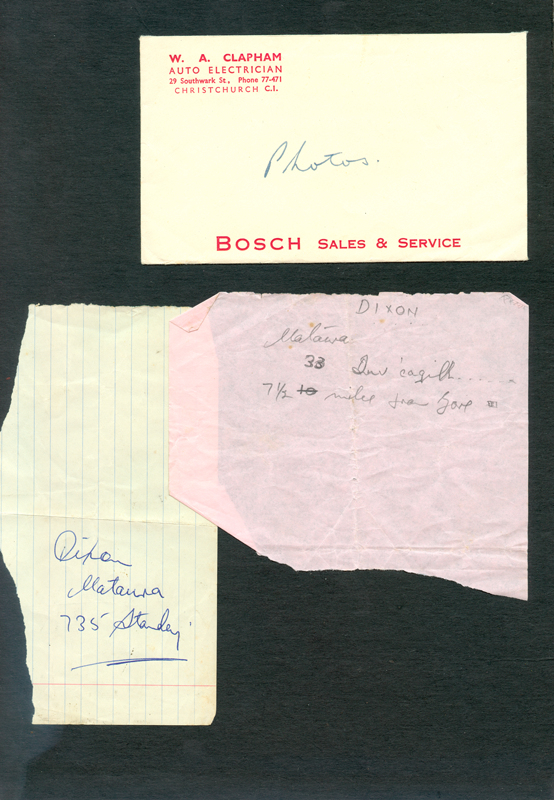 John Stewart writes the following: "In 1956, Bill Lawson who had been ill for some time, was unable to work on the car which was partly dismantled. He asked me to take 20194, look after it and treat it as my own. He had never got it to the stage where he could drive it on the road. We towed it from the back of a commercial property he owned in Mt. Eden to my mothers place in Rockfield Rd. One Tree Hill. 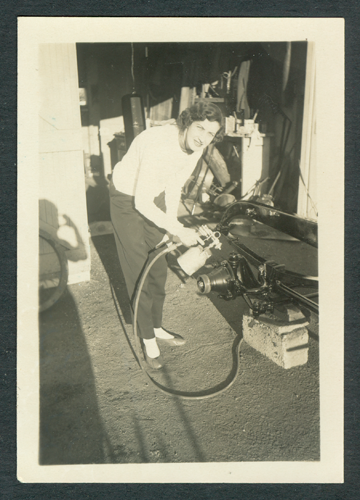 At this time Maureen and I lived in an apartment and had no garaging." Note the photo of Maureen with the paint gun. Maureen surveys what is rapidly becoming a basket case. Stanley 20194. Source: Stewart Archive. John Stewart surveys what was rapidly becoming a basket case. Source: Stewart Archive. Maureen Stewart shows she knows which way is up with a paint spray gun. Source: Stewart Archive. Two views of 20194's chassis coming back together - a basket case no more! John working at the left and Maureen's shadow clearly visible on the right. Source: Stewart Archive. I reinstalled the water tube boiler with a much larger superheater and with a feedwater heater in the smoke box. The original burner plate which was cracked was replaced with a new plate which I was lucky enough to acquire. I manufactured a heat exchanger through which the exhaust passed in order to pre heat the feed water. This mounted neatly under the RH running board. I carried the by-pass water from the water automatic to a fitting in top of the condenser as Dad insisted that a wet condenser always had better heat transfer than a dry one. 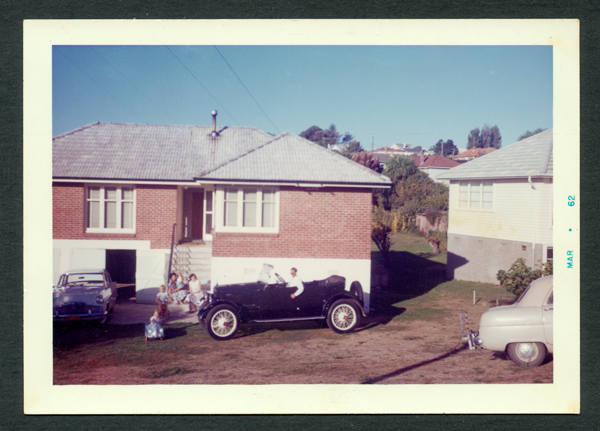 By January 1958 we had moved in to our new house in 82 Vale Rd.St. Heliers and the reassembled chassis of 20194 moved in with us. This series of photographs of 4th March 1958 records the second steam up of Stanley No. 20194. 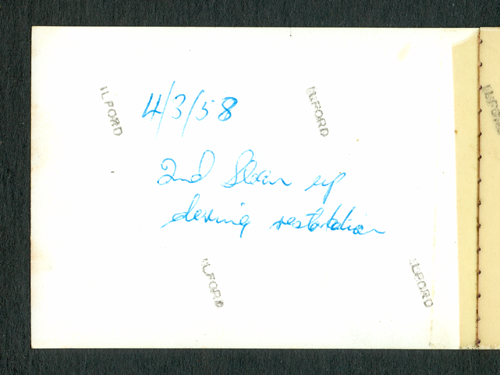 March 4, 1958, The Second Steam Up. This photo was taken by Maureen from the kitchen window of the Stewart's home. The next door neighbor is observing the steam up with John Stewart. Source: Stewart Archive. 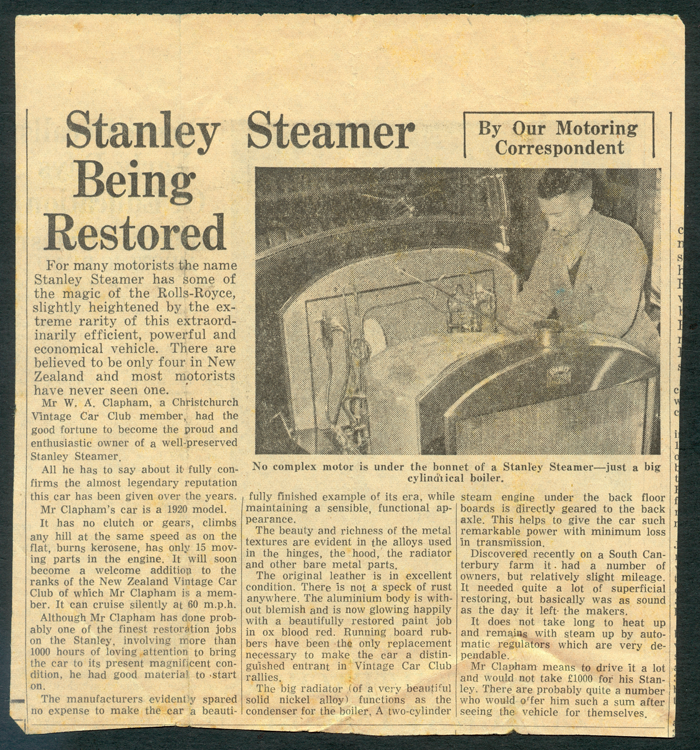 In April 1958, John Stewart steamed up Stanley 20194 for the second time. 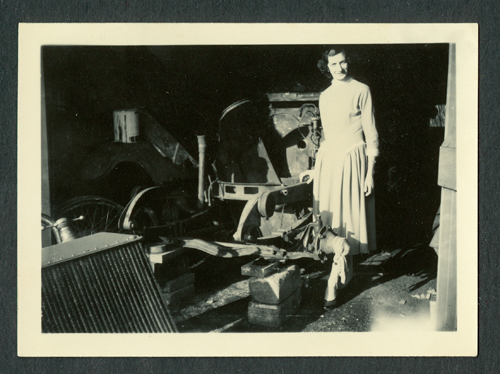 These photographs document that process. Source: Stewart Archive. This is the finished chassis for Stanley 20194. First drive of 20194 with good friend Dr. Ron Mitchell as observer. Unfortunately this and the following photograph are undated but probably late 1958 or early 1959. 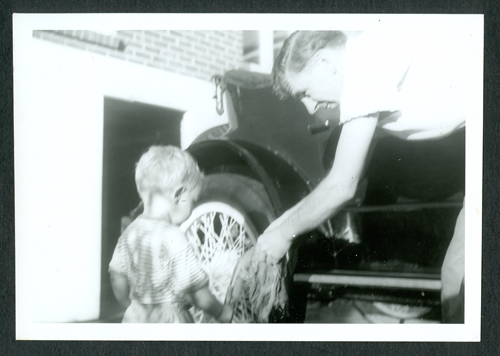 The photo is labeled "First Time On The Road." 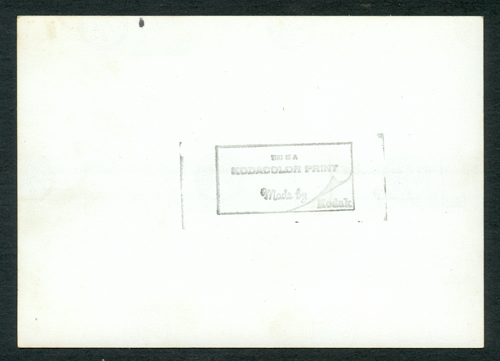 Source: Stewart Archive. This photograph taken by a press photographer for an article in the local newspaper. Probably in 1959. Location corner of St. Johns Rd. and Kohimaramara Rds. Extinct volcano Mt. Wellington in the background. Source: Stewart Archive. Location unknown, probably dates from 1959. Source: Stewart Archive. 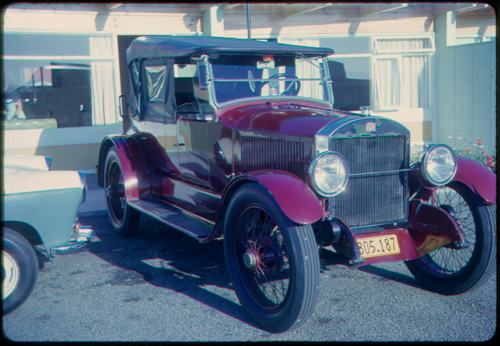 John and Maureen Stewart took their newly restored Stanley on its first ralley to Morrinsville, about 80 miles south of Auckland, on Easter Day, April 17, 1960. 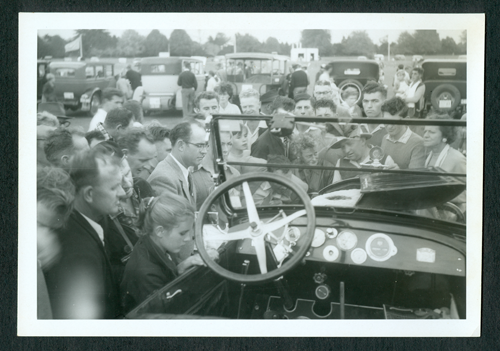 John reports that "the car behaved perfectly for the whole trip." Enjoy these photos of the ralley! 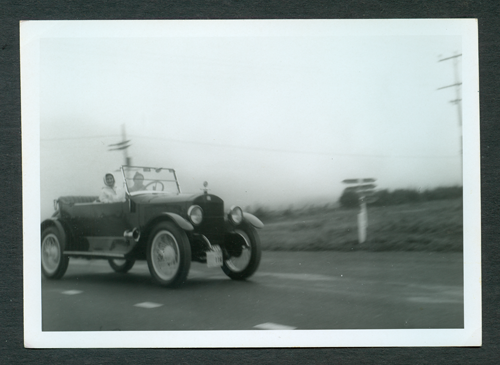 Easter 1960 on the road to Morrinsville, 80 miles south of Auckland on our first Rally. Car behaved perfectly for the whole trip. 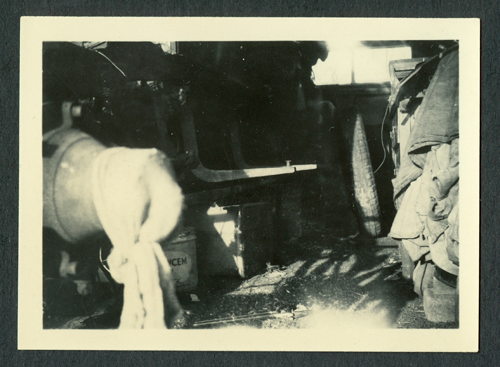 Source: Stewart Archive. Water top up at wayside workshop on the way to the Morrinsville Rally. Source: Stewart Archive. Huge crowds constantly surrounded the Stanley at the Morrinsville Rally. Friend in the balck beret looked after the car whilst we looked around. Source: Stewart Archive. 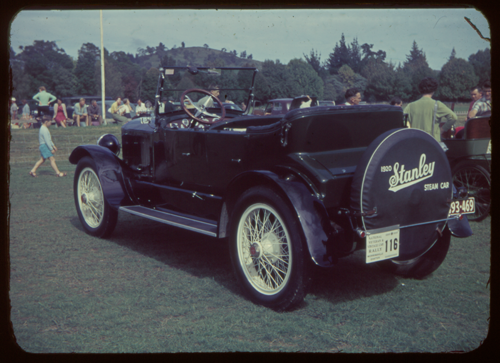 Stanley 20194 at the Morrinsville Rally Note the rally tag below the license plate. Apparently another press photo. Source: Stewart Archive. 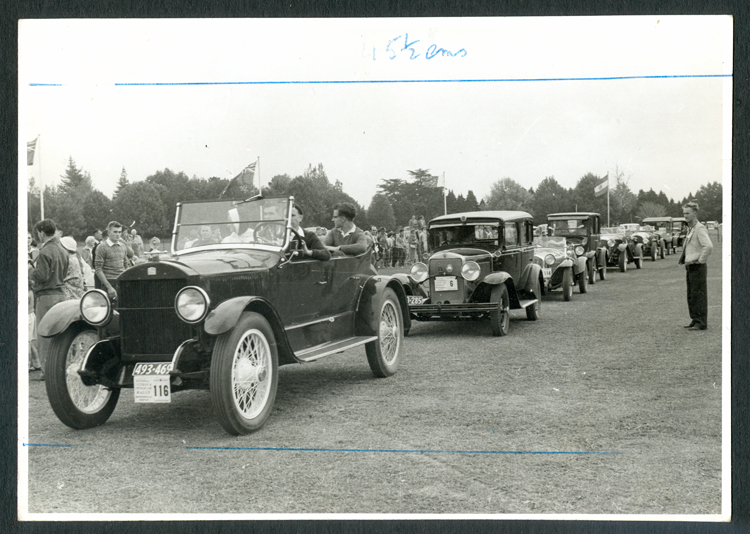 John Stewart's Stanley 20194 leading the Grand Parade at the Morrinsville Rally, Easter 1960. This appears to be a press photo. Source: Stewart Archive. 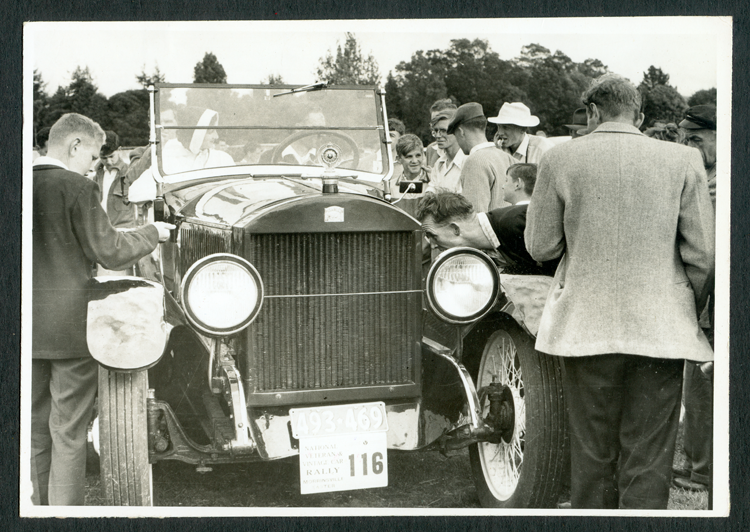 The rally plate seen in this photo strongly suggests it was taken at the Morrinsville Rally, Easter 1960. Source: Stewart Archive. 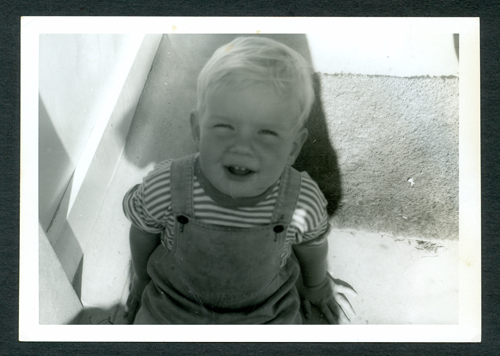 In these four photos, Scott Stewart at 22 months of age, helps his dad [John Stewart] with the clean up upon returning from Morrinsville Rally on Easter Day, April 17, 1960. Source: Stewart Archive. In February 1959, John Stewart finished Stanley 20194. Here it is outside the familiy home at 82 Vale Rd. St. Heliers. 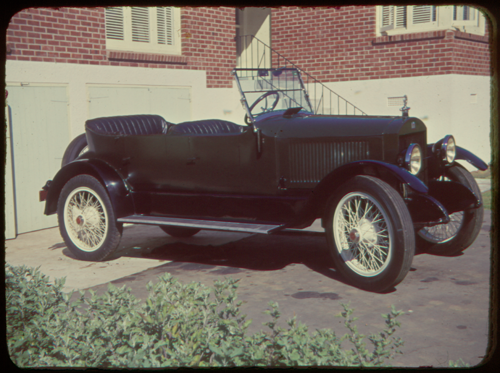 John Stewart notes the following: "The repainted body (Brewster Green), black guards and white wire wheels were reinstalled. Now we were ready for some fun!" Source: Stewart Archive. 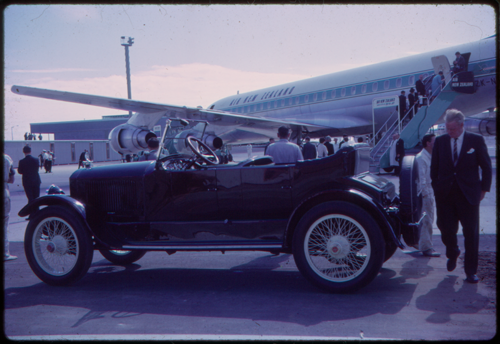 Picking up dignataries at the Auckland Airport, ca: 1959. Source: Stewart Archive. 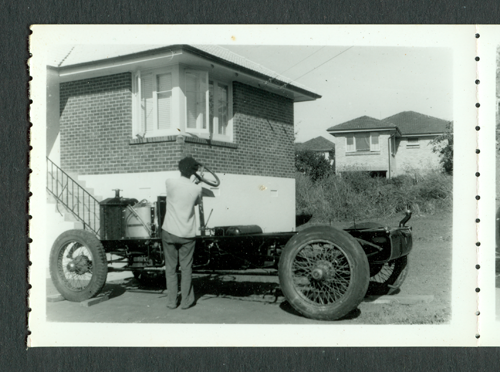 This photo of Stanley 20194 was taken at the home of Dr. Graham McDonald in Remuera Auckland. Date unknown, probably in 1959 or 1960. In the shed behind there is a 1907 Unic and a 1913 Fiat. Source: Stewart Archive. From the outset the car performed very well and was completely reliable. Cruising speed was modest, about 35 mph, acceleration was exciting, and hill climbing was ok once I learned the right procedure. This meant leaving the throttle exactly as it was on the flat which meant the car slowed down but full boiler pressure and normal water level were maintained thus there was no performance penalty when the climb was completed. Obviously the occasional full throttle spurt up to may be 50 mph. was indulged in from time to time but this invariably resulted in slow motion progress afterwards as boiler pressure and water level were restored to normal. 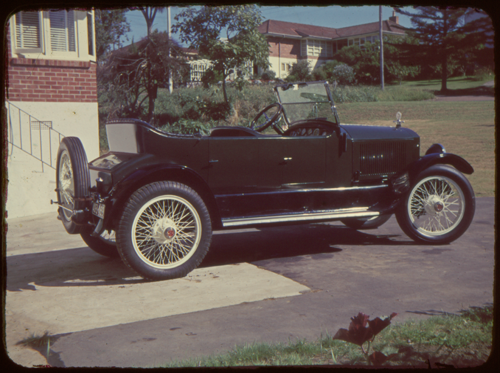 I used the car in this form for nearly 15 years and had many trips of 300 miles or more to parts of the North Island We had a huge amount of fun and apart from the usual blocked jets and so on had no problems whatsoever. However, this was all to change. 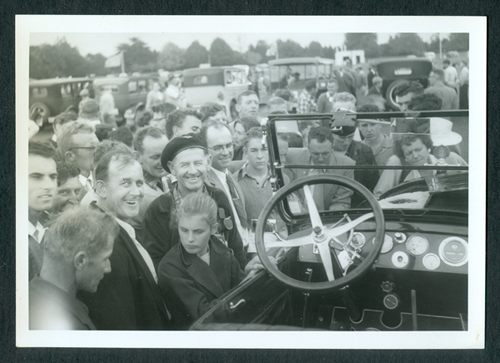 In 1971 I decided to lift the body and recondition the engine and pumps etc. in preparation for the 1972 VCC International Rally to Nelson in the south island. I was fortunate in having a large collection of new old stock parts from Dad's operations and was able therefore to completely rebuild the engine to original standards with new mains, big ends, cross heads cylinder block and so on. Pumps were repacked and all the little details were attended to. When back on the road this was the quietest Stanley engine I have ever heard. The only thing that spoilt the peace was a faint whine from the generator drive. However the peace was to be shattered. As the test miles piled up I began to have frequent instances of the vapourising tube clogging with very talc like carbon. This got to the stage where I could not go further than about 15 miles without complete loss of vapour to the jets. I tried every thing I could think of and listened to any advice I could get but nothing cured the problem. I questioned the oil company that supplied the lighting kerosene which I had always used and they denied that there was any change in the fuel. We started on the Rally, absolutely exhausted from days and nights of experiments but covered only about 20 miles and ended up being towed back home. The only time the car was ever on a tow rope. 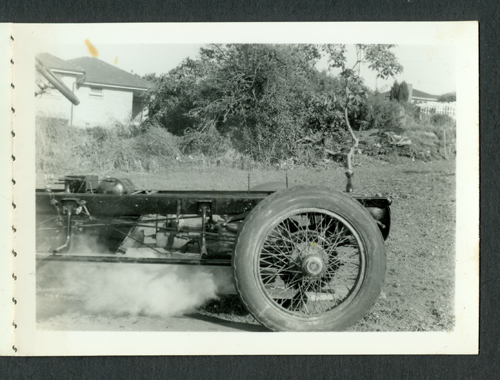 We gathered up our single cylinder 1905 Cadillac and completed the rally on that with absolutely no problems. 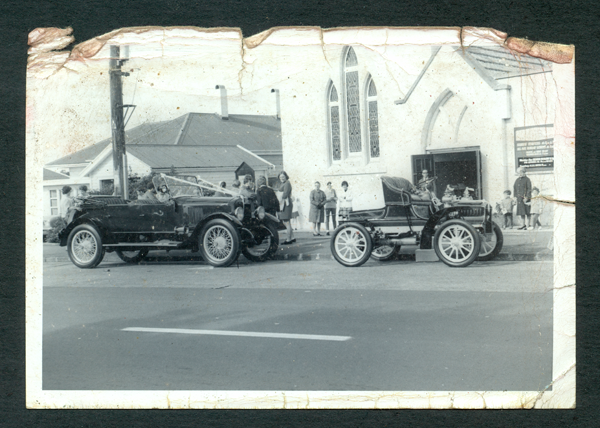 These two photos were taken in May 1968 at the wedding of Pamela Busfield at the Baptist Church in Remuera Auckland. 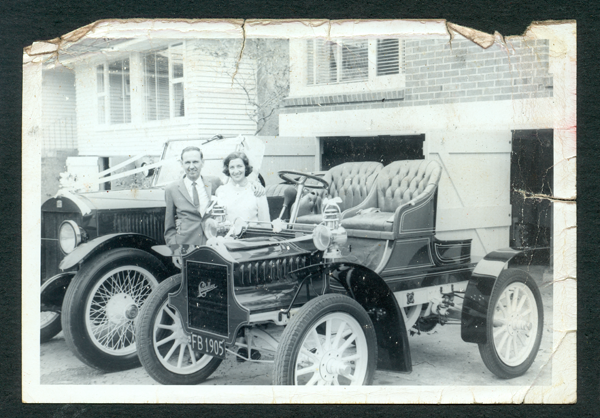 THe bridegroom drove off with Pamela in the 1905 Cadaillac. John and Maureen Stewart following with the bridesmaids in the Stanley. Source: Stewart Archive. On return from the event I again tackled the oil company at a very senior level and they finally admitted that the fuel I was buying was not lighting kerosene but was jet aircraft fuel. JP1 or JP2 or something. It is apparently distilled over a wider temperature range and contained more light and heavy ends if I remember the jargon correctly. Had I persevered and reduced the length of the vapouriser or perhaps lagged part of it I may have overcome the problem, but I was fed up with vapourising burners and decided more drastic action was called for. John Stewart's Stanley No. 20194 in front of 82 Vale Road in 1962. Maureen Stewart is on the steps steps with baby Heather about 6 months old. Scott drives his pedal car. Source: Stewart Archive. Stanley No. 20194 in front of 82 Vale Rd. St. Heliers. Probably in 1962 as indicated by new 1962 Ford Zephyr in the background. Source: Stewart Archive. The idea of switch on and go as in the Doble appealed enormously so I set out to design and build an atomizing diesel burner system. This presented more than just a few challenges, not the least of which was to get enough power to drive the burner. The existing 6 volt system with a generator driven off the crown wheel would obviously be hopeless. I fabricated a bracket to attach adjacent to the left hand engine crank on which I mounted a 50 amp. 12 volt alternator. The drive for this was via a multi groove v belt the drive pulley for which was attached to a shaft extended into the crankcase. On the end of this was a slotted crank. A special nut with an extended pin was fitted to the engine crank and this pin fitted into the slotted crank. This set up proved to be 100% satisfactory but it did not pay to get the multi groove belt wet as the loading was high and slipping could occur. A completely new fire box was made, somewhat deeper than the original with a tangential entry for the burner intake. The objective was to have a burner capable of burning approximately 4 imp. gallons of fuel per hour. 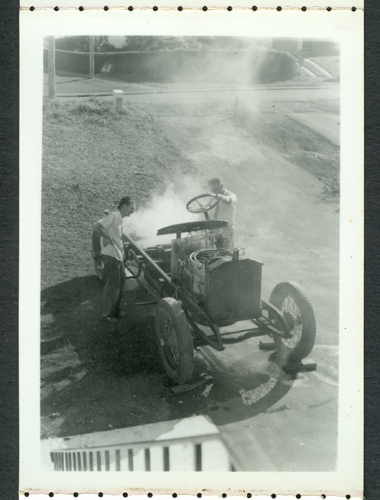 This would compare with the vapourising burner which had a capacity to burn about 1.5 to 2 gallons per hour. The final set up consisted of a twin jet burner head. The main jet was of 3 gph. capacity with an auxiliary jet of 1.5 gph. Design calculations for the air requirements for such a burner were done by my brother Keith who also did the design details for the necessary fan which consisted of a forward facing multi blade squirrel cage type, The atomizing pump was a Danfoss unit as used on home heating furnaces. The drive for all this was an ex aircraft 24 volt generator with the field coils rewound for 12 volts. This motor was mounted vertically at the left rear of the burner Ignition was by the original Danfoss set up with trembler coil and photo electric cell to cut the spark as soon as the burner ignited. Main burner control was by a simple adaptation of the standard fuel automatic. I removed the fuel valve at the bottom of the automatic and replaced it with a microswitch which controlled the burner motor through a relay. This whole arrangement worked perfectly. The burner was started on the 3 gph. jet and the additional jet was manually opened when the fire box was hot. The pilot burner was retained but only as a means of keeping up steam when standing. Start up on the old vapourising burner was about a 25 minute process. With the new switch on set up, a full 600 lbs. appeared after 6 minutes but the car could be moved in about 3 minutes. On the road performance was transformed. As noted above, 35 mph cruising speed was the order of the day with the vapourising burner. Now, with the capacity to burn a more realistic quantity of fuel, the cruising speed had advanced to at least 50 mph. And this could be maintained for hours without any reduction in boiler pressure. 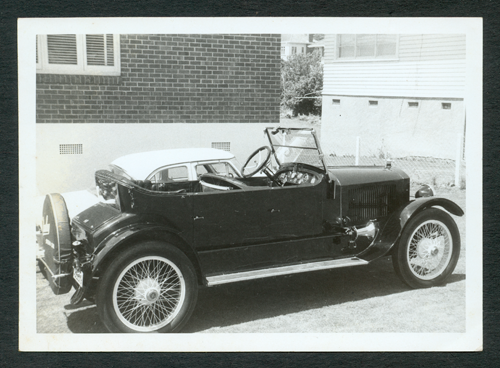 It had become a very exciting car to drive and no longer were the Model Ts passing it. We covered many thousands of miles with this set up with no problems. The feed water pumps sometimes struggled a bit to keep up with water demand under some conditions but nothing that could not be overcome with a little speed moderation. The pumps did however get pretty noisy above 60 MPH. Fuel consumption was never better than about 8 MPG. Water consumption varied according to the weather and road conditions but we did achieve more than 200 miles on a tank on more than one occasion. Biggest problem was the totally inadequate brakes at such speeds and in this regard the present owner is investigating the fitting of front wheel brakes. 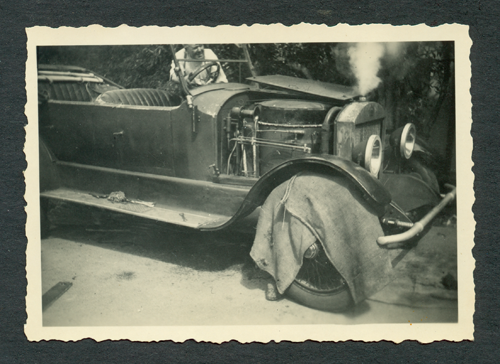 I finally laid the car up due to repeated pin hole leaks in boiler tubes which were getting very old. Unfortunately business commitments and other matters dictated that I was unable to reboiler the beast and I sold it to a young enthusiast in about 1980. Unfortunately he undid most of the good work I had done with a view to restoring to originality. He owned it for about 20 years and never had steam on it. He passed it on to the present owner who has built a new boiler and reinstated all the burner conversions etc. that I had installed. He is enjoying some excellent motoring in the Dunedin area of the South Island. 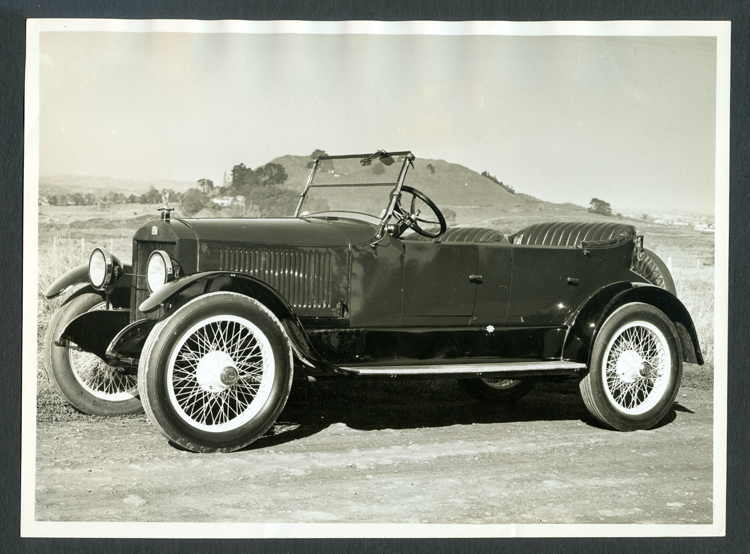 This is Bill Clapham's 1920 Model 735A Stanley, serial no. 20091, in his home workshop. This photo probably dates from the early 1960s. Source: Stewart Archive. This is Stanley Model 735A No. 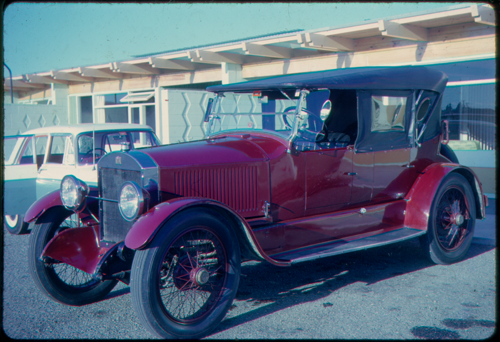 20091, owned at the time this photo was taken in the 1960s by Bill Clapham. 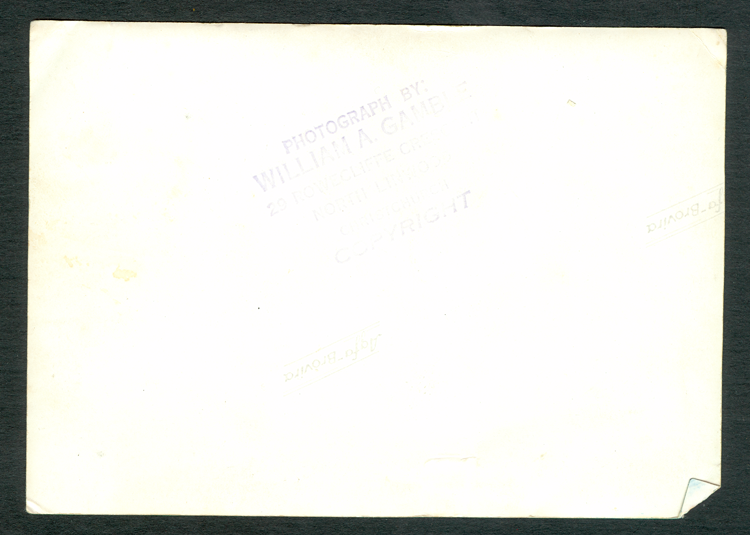 The photo was taken at Clapham's home. The car is now in the Southward Museum. Source: Stewart Archive. Bill Clapham owned Stanley 20091 (and the Yorkshire Steam Wagon) that is now in the Southland Museum. 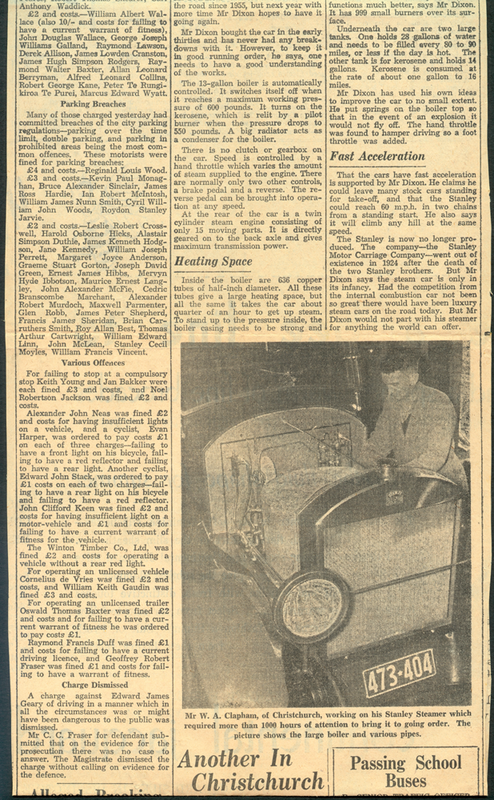 Here are two photos of it on tour in the 1950s and two newspaper articles. One is dated September 26, 1957 from the Southland Times, page 12 an the other is undated but from the same time period. Source: Stewart Archive. 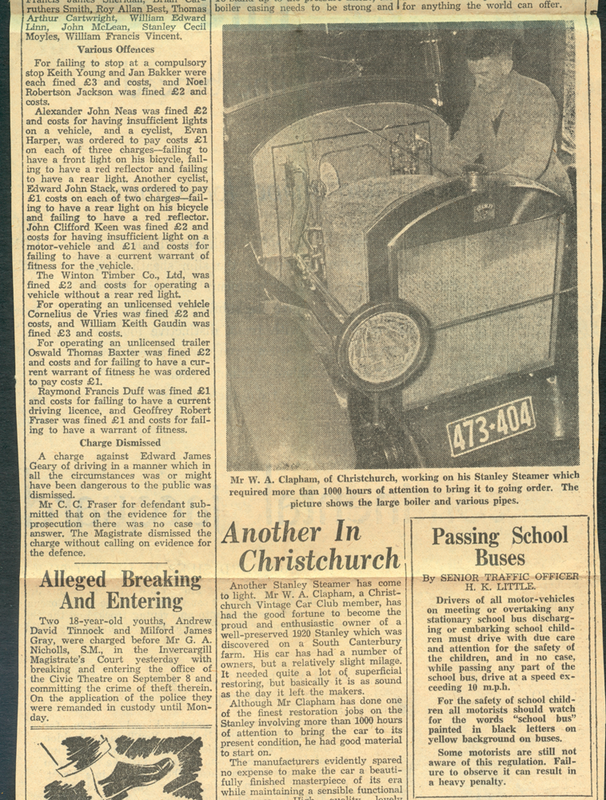 A gentleman named Mr. Dixon also owned a Stanley in New Zealand in the 1950s as this September 26, 1957 article from the Southland Times, (page 12) documents. The Clapham article above was attached to the bottom of this article. Source: Stewart Archive. 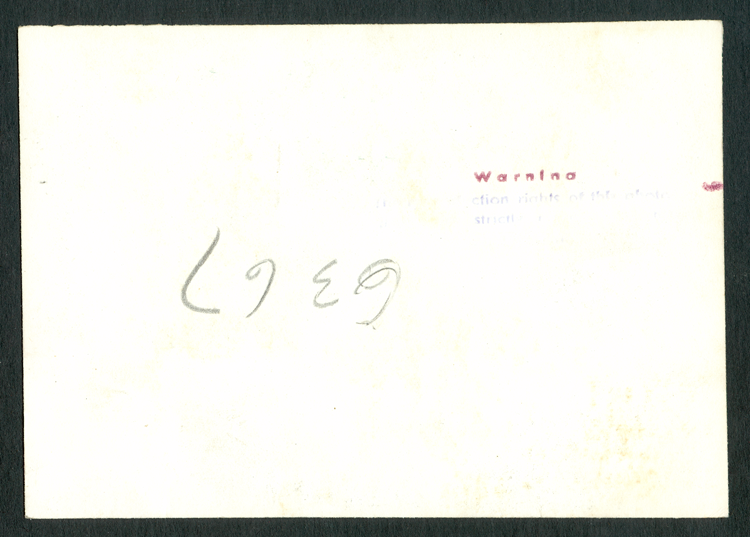 Envelope with John Stewart's notes. Source: Stewart Archive. 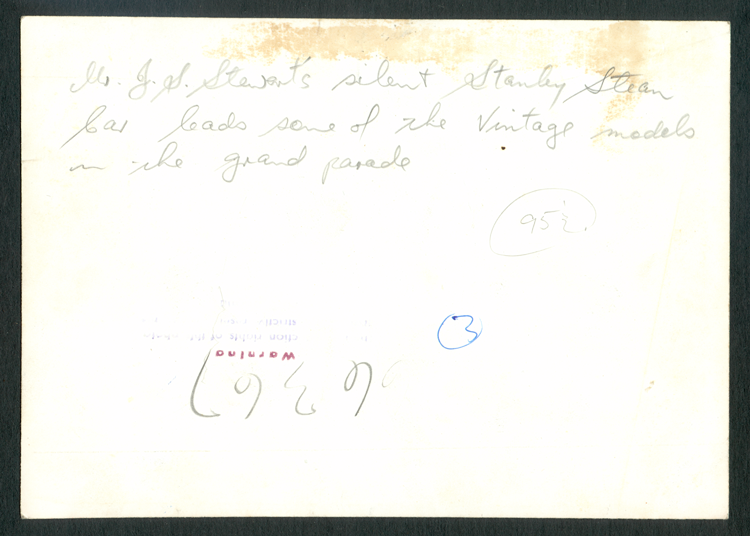 Envelope containing restoration photos of Stanley 20194. Source: Stewart Archive.